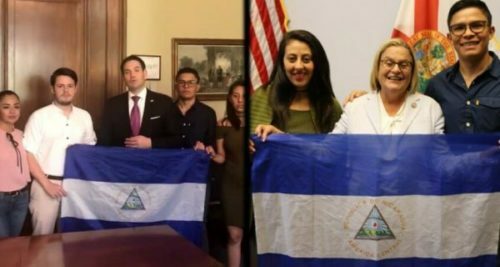 This article seeks to correct the record, describe what is happening in Nicaragua and why. As we write this, the coup seems to be failing, people have rallied for peace (as this massive march for peace held Saturday, July 7 showed) and the truth is coming out (e.g., the weapons cache discovered in a Catholic Church on July 9th). 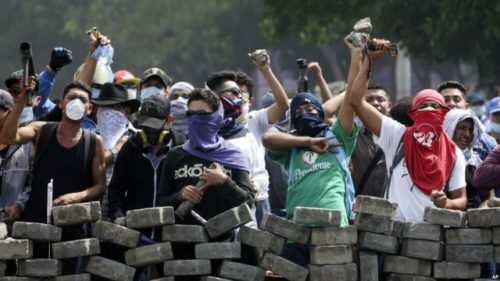 It is important to understand what is occurring because Nicaragua is an example of the types of violent coups the US and the wealthy use to put in place business dominated, neoliberal governments. If people understand these tactics, they will become less effective. The FSLN-led government has put into place an economic model based on public investment and strengthening the safety net for the poor. The government invests in infrastructure, transit, maintains water and electricity within the public sector and moved privatized services; e.g., health care and primary education into the public sector. This has ensured a stable economic structure that favors the real economy over the speculative economy. The lion’s share of infrastructure in Nicaragua has been built in the last 11 years, something comparable to the New Deal-era in the US, including renewable electricity plants across the country. While the private sector employs about 15% of Nicaraguan workers, the informal sector employs over 60%. The informal sector has benefited from $400 million in public investments, much of it coming from the ALBA alliance funds to finance micro loans for small and medium-sized agricultural enterprises. Policies to facilitate credit, equipment, training, animals, seeds and subsidized fuel further support these enterprises. The small and medium producers of Nicaragua have led the country to produce 80-90% of its food and end its dependence on IMF loans. Land titling and assistance to small businesses have also emphasized equality for women, resulting in Nicaragua having the lowest level of gender inequality in Latin America and ranked 12 out of 145 countries in the world, just behind Germany. 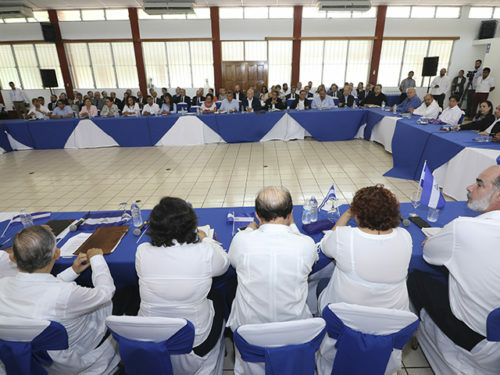 The result of this consistent building and funding of opposition resources has been to create an echo chamber that is amplified by commentators in the international media – most of whom have no presence in Nicaragua and rely on these secondary sources. Ortega won his third term in 2016 with 72.4 percent of the vote with 66 percent turnout, very high compared to US elections. Not only has Nicaragua put in place an economy that treats the poor as producers, with remarkable results raising their standard of living in 10 years, but it also has a government that consistently rejects US imperialism, allying with Cuba, Venezuela, and Palestine, and voices support for Puerto Rican independence and a peaceful solution to Korean crisis. 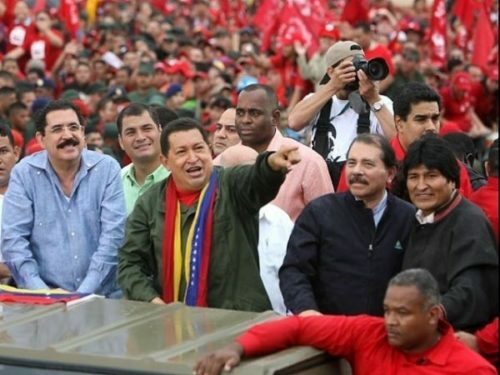 Nicaragua is a member of the Bolivarian Alliance of the Americas and the Community of Latin American and Caribbean States, a Latin American alternative to the OAS, neither include the US or Canada. It has also allied with China for a proposed canal project and Russia for security cooperation. For all of these reasons, the US wants to install a US-friendly Nicaraguan government. Kevin Zeese is an attorney who co-directs the US-based Popular Resistance. Nils McCune is on the Technical team of IALA Mesoamerica (Agroecological Institute of Latin America in Nicaragua) and a research fellow at the University of Michigan. Read other articles by Kevin Zeese and Nils McCune. This article was posted on Tuesday, July 10th, 2018 at 9:58pm and is filed under "Regime Change", Catholicism, Church and State, Corruption, Disinformation, Fake News, IMF, Media, Media Bias, Narrative, Neoliberalism, NGOs, Nicaragua, Propaganda, United States, US Lies, Violence, Weaponry.